Our club competition on Saturday 16th June started off in well and truly windy conditions, but at least the rain was holding off. 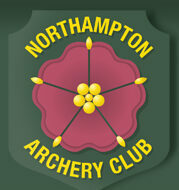 With over 30 archers turning up the event looked like being a long awaited success after a previous wash out in April. Upon completing the first 8 ends and less than brilliant scoring, we all prepared for the shorter distances. The winds then really picked up and our targets succumbed to the British weather, collapsing backwards and uprooting our ground pegs. Unfortunately it was felt that conditions were no longer safe for either arrows or archers and the event was abandoned at that point. Maybe at some stage this year the weather will be kind to NAC. We did however all enjoy the hot dogs and tea organized for us by Pam and the crew.